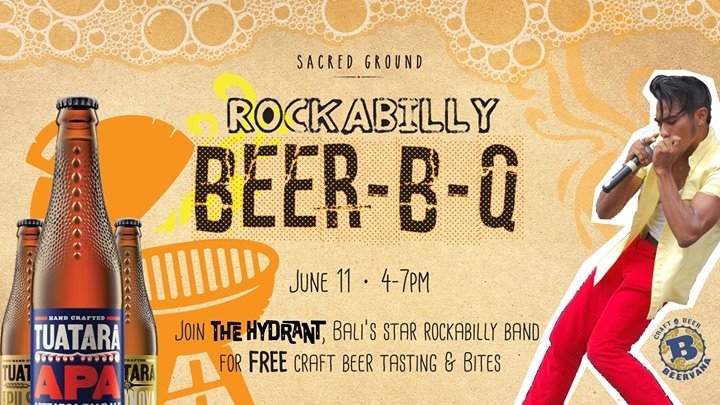 To celebrate the launch of their craft beer, Sacred Ground have teamed up with the guys from Beervana to provide an afternoon of FREE craft beer tasting and FREE bbq bites, including our beer-inspired Caramel IPA artisan ice cream flavour. With special buy 3 get 1 pilsner Tuatara beer bucket promos quench your thirst with some top notch beer and tunes from The Hydrant. Get in quick as there will be limited, exclusive Beer Beach Bag giveaways to those lucky early birds who order The Tuatara beer buckets. Valued at over 300k these bags include Sacred Ground drawstring bag, stubby holder, keyring and Beervana beer and beer glass pack! Come on down and join the BEER-B-Q!